The Season of Giving is upon us. It is a special time of year where we give thanks and honor traditions in many cultures around the world. It is a time of reflection and living in our values. It’s a time for celebration, family, friends and looking forward to the future. In recent years, a new tradition has been rising, Giving Tuesday. This tradition has grow to be a global movement and stands strong as a day for giving back and marks the start of a season that celebrates giving in many ways. As you consider your personal way of participating in Giving Tuesday or giving back during this holiday season, we invite you to learn more about our work. This is a new age in philanthropy, and we are proud to be leading the way in developing new tools and pushing the envelope in hopes to bring the philanthropic sector closer to bigger and better outcomes through improved efficiency and effectiveness and building trust with donors once again. BitGive has pioneered efforts in driving philanthropy forward with bitcoin and blockchain technology for close to five years. In the bitcoin industry, we are one of the earliest and only organizations to focus entirely on giving back and philanthropic use cases for this technology, making real impact on the ground today around the globe. Learn more about our Past Projects. For the last few years, we have poured our energy and focus into building a new revolutionary donation platform powered by bitcoin and blockchain technology. GiveTrack brings to life the game-changing tools for nonprofits that provide faster, less expensive, and safer transactions for global philanthropic efforts, while offering transparency in funds movement and deployment and project results in real time. Learn more about our GiveTrack platform and try it out yourself! Celebrate Giving Tuesday and this holiday season by supporting our pilot project with The Water Project to bring water and sanitation facilities and training to a school in Kenya. BitGive is the first government-recognized 501c3 Bitcoin nonprofit. Since 2013, BitGive has built a positive philanthropic representative organization for the Bitcoin and Blockchain industry, bridging the gap between an innovative technology and its practical applications for nonprofits and humanitarian work in the developing world. BitGive has established strong partnerships and raised funds with well-known nonprofits including Save the Children, The Water Project, TECHO, Medic Mobile, and more. Your support helps BitGive’s on-going work to drive philanthropy forward into the future with new technology, tools, and opportunities. To learn more about how donating bitcoin gets you triple the tax benefits, check out our recent blog It’s Tax Season. Thank your for subscribing to our newsletter! 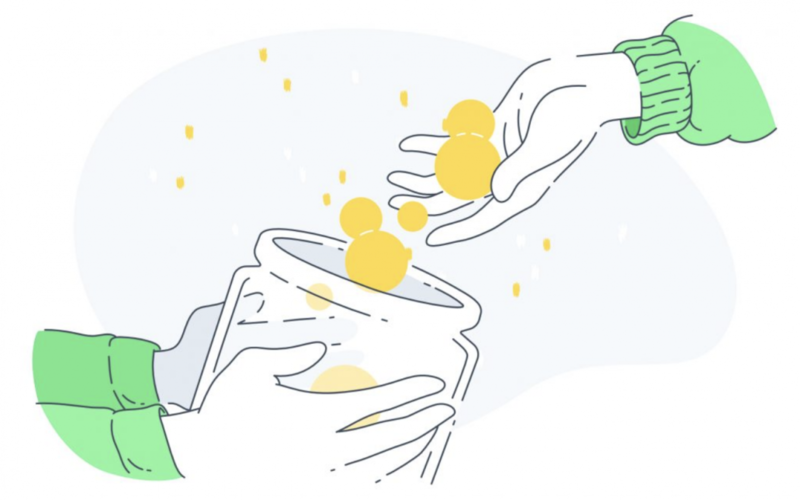 Through GiveTrack’s integration with Uphold, users can now donate to charitable projects with multiple traditional currencies and cryptocurrencies.